Shawn Porter won the vacant WBC Welterweight Title on Sept. 8, gaining the title with a unanimous decision win over former champion Danny Garcia in a potential Fight of the Year candidate. The opening round was close, though Garcia may have won it with a right hand in a late combination that shook Porter up a bit. Porter was fighting the kind of fight Garcia wanted in the first two rounds — remaining on the outside and not doing much. As the fight entered the third, Porter turned up his quantity of punches thrown, while Garcia may have had the more quality punches. Porter continued to turn it up in the fourth, starting to work over the body. As Garcia’s output decreased over the fourth and fifth, it could be argued that he was being more selective with his shots. Porter’s speed, however, still increased. 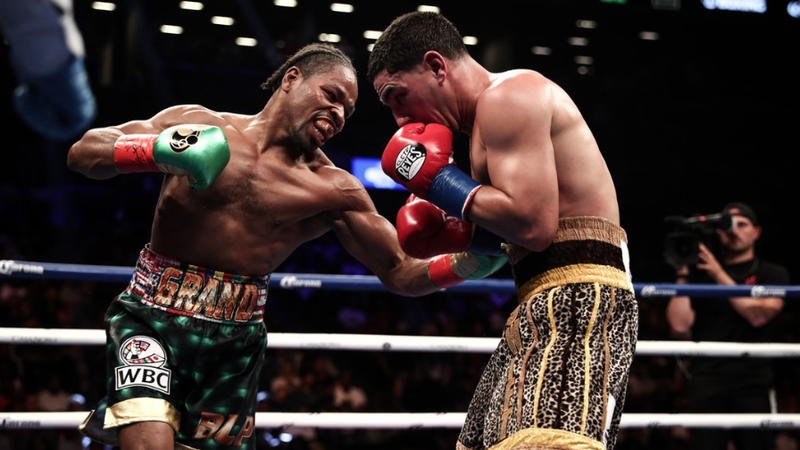 Garcia got a bit of control back in the sixth, cutting off the ring and controlling the pace, even cornering “Showtime.” Porter continued to focus on the body in the seventh and catch Garcia off guard with something, while Garcia looked to land one strong counterpunch. After the eighth round, which saw Porter as the more active fighter, the ninth saw Garcia show off chin, but at the price of eating plenty of blows from Garcia. The remaining three rounds were highly praised, with all being deemed as going either way. Ultimately, all three judges scored the bout in Porter’s favor, 116-112, 115-113, 115-113.